LONDON - Avid TV watchers may have noticed recently that Holland & Barrett has dropped its Mr Holland & Mr Barrett characters from its TV advertising. According to the retailer it has done this in order to pursue a product and price promotion marketing strategy. Mr Holland & Barrett were introduced to the public last October as part of a £7m campaign, created by WCRS, which highlighted its in-store advice service. The latter character is obsessed with price, while the former thinks the advice is more important. 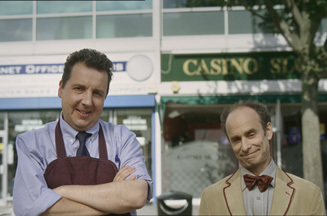 Although Geary would not confirm whether or not the characters would be used in TV again, he did say that they quirky duo would continue to be a part of in-store marketing strategy, handled by Woo, and the strap line ‘come for the price, stay for the advice' would continue to underpin the brand. During the recession the majority of retailers have focused on price. Tesco implemented the strap line ‘Britain's Biggest Discounter' and higher-end store Waitrose has also introduced an everyday, cheaper range, branded Essentials. Geary said that Holland & Barrett's current product/price/promotion ad strategy delivered higher returns. ‘This new style of ads is recruiting more new customers, the in-store associates are then qualified to give them advice appropriate to their nutritional needs,' he added. Last month Holland & Barrett launched what it claims is the first chemical-free toiletry range from a high-street retailer. Geary said that TV advertising, due within six months from launch for the 68-product lines, branded dr.organic, was not the right fit for the characters. He admitted at the time that the characters had been a learning vehicle for the company which allowed it to create an identity as such. In October Geary originally said that he could see the characters creative running for a number of years.